AZ Car Keys are less expensive to use if you lose your Acura car keys. Save valuable time and money by calling our pros to replace that lost car key. Attain the cheapest rates on Acura car key replacement services in Phoenix currently. Car keys are the most important element of our cars and therefore they are of utmost value to any car owner. The keys can be used illegally by anyone to access the cars and for robbing it. Thus it is of high important for all car owners to have complete knowledge of different types of cars and their use. It is an important aspect related to the security of an expensive possession we are having. Every driver has undergone the cases where they have left the keys inside the car or have misplaced the keys somewhere. Even at times the keys get stolen and this is the tension situation for the owner till the time he finds the keys back or replace them. So if you are in that situation and looking for the replacement of your Acura keys, here is the right place for you. Acura Car Key Replacement in Phoenix, AZ! Acura is one of the luxury subsidiaries of Honda Motors and it is suitable for those searching for luxurious car but in reasonable rate. The question arises in terms of security of these cars. 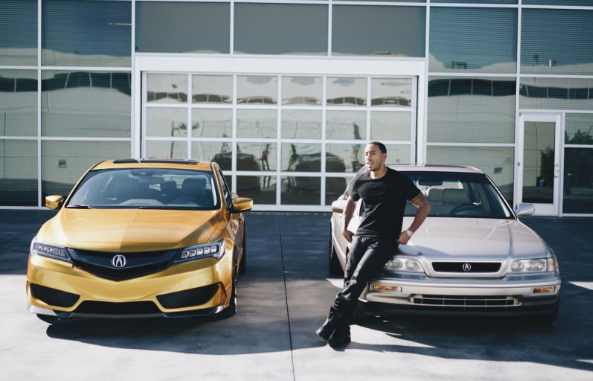 The best part of the white Acura is that they are making cars with a standard transponder system that provides high level security from theft or illegal access to your cars. Before 1998, the cars were having a basic key. It is a metal key without any chip and thus no programming was required. These can easily be duplicated in no more than an hour. These obviously were cheaper than the new transponder keys. The introduction of transponder keys has added a new element to the safety of cars. Now understand the working of these keys. There is a chip placed inside transponder keys that provides a specific code to vehicles computer. So the car can be accessed only when the code in the key matches with code in the computer. In case the code does not match, the car cannot be accessed. This even protects you from duplication of your keys without your permission. In contrast to basic metal keys, these keys have made the theft of your luxurious cars extremely difficult. The introduction of programmed keys is significant to current day security issues rising all across the world. The casing of transponder and basic key is different. Transponder keys casing are usually thicker than the basic keys. They are cut in the same manner but transponder keys are programmed before the use and these require a code to unlock the car. The new advent in the market is laser cut keys which are also coming with the same transponder system and working but the unique cut makes it safer. These are now the standard for Acura and everyone is generally looking for laser cut keys because it adds more security for your cars. These keys due to their special cuts are very difficult to be duplicated. Only the very specific tools can duplicate them. So no one dares to use your car without your authorization. Each car of the same model has a different key and thus no other car of the same model can be accessed with a single key. This unique character is increasing their demand in the market. These high security sidewinder keys cannot be easily made and so it is an important feature of this type of keys. Even if you have recovered your car after theft, it is always advisable to re-key them. We will re configure the locks and even re program the car so the older keys can no longer function and your car cannot be accessed by the older keys. It is very important as to avoid any danger of theft again. If you will re program your keys immediately, it will save you from any more harm. Many sellers are scam and provide keys in lower rates than the normal. But these keys lack the transponder system and therefore it is not the one secured for you. Call AZ Car Keys Today For Replacement Acura Keys! Online purchasing of the keys may be of no advantage. 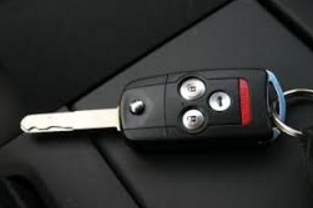 Always trust in AZ Car Keys for re programming or replacement of your Acura keys. It is a possession regarding which no risk should be taken and hence, one should be super careful. Cars are an expensive possession and so there must not be any compromise in the right key which provides you best security. I'll say it. I absolutely HATE dealing with dealerships. It seems that you are never a priority and they get to your car whenever they feel like it. Now these guys on the other hand....these guys got me taken care of an hour after I called! Got my replacement Acura key promptly. Will definitely recommend!